Is it me, or does it seem like each new year brings some “sweet” additions to Hershey, PA? If you are a hug fan of the area like my family and I am, then you know that each year does bring something new and exciting to enjoy and 2015 will be no different. In case you needed reminding, Hershey, PA has its world-class amusement park, three distinct resorts, luxury spa, several entertainment venues, legendary golf courses, and a tree-lined ZooAmerica… all within 3 hours from NYC, 2 hours from DC, and 90 minutes from Philadelphia!! The centerpiece of the town’s entertainment, Hersheypark, will welcome Laff Trakk, its 13th roller coaster, this summer. We couldn’t be more excited as we are always all-in for the latest and greatest coasters, and this one looks amazing. 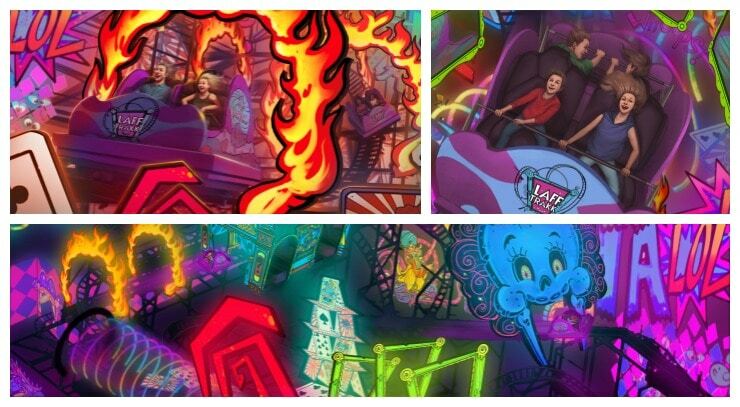 The first, indoor, spinning glow-coaster in the United States, Laff Trakk is a 21 st century Fun House that spins riders through an eye-popping adventure of sights and sounds offering a new experience with every trip. This. Looks. Amazing!! Hersheypark is also upping it’s game and expanding its many culinary offerings with the addition of Moe’s Southwest Grill, featuring fresh, customizable southwestern food that just so happens to be Natalie’s favorite place to eat, so I know she’s going to flip. Guests with food allergies will find an array of choices at The Outpost, the new allergen-friendly food restaurant located in the Pioneer Frontier section of the Park serving gluten, nut and dairy-free items as well as vegetarian options. New dessert choices (did someone say dessert?) include Makin’ Whoopie Pies, located near the front of the Park, where the possibilities are endless and guests can choose from a variety of tempting cake-like shells and sweet whipped filling. Ok, you had me at dessert. The fun continues with star-studded entertainment at a variety of Hershey venues. Bill (and Natalie) are going nuts taking a look at all this country music going on in Hershey!!! It’s his favorite (and daddy’s little girl loves it too). Of course, there’s also the latest pop, rock, and hip-hop, too. Right now, the lineup at Giant Center includes: Florida Georgia Line, Fall Out Boy with Wiz Khalifa, Lady Antebellum, and Mötley Crüe. 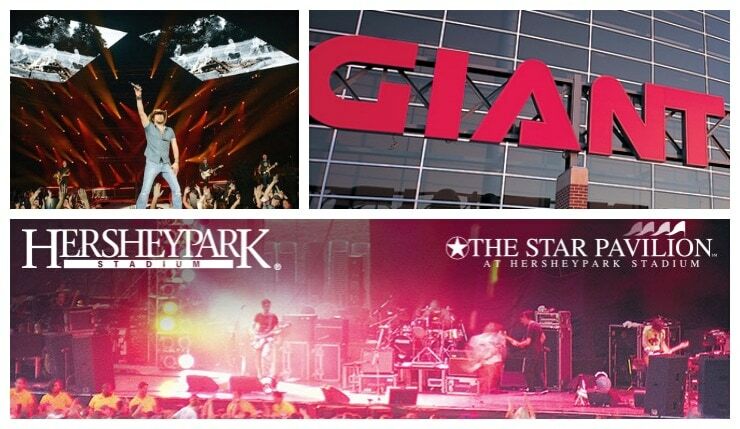 The 30,000 seat outdoor Hersheypark Stadium has scheduled acts that include: Jason Aldean, Train, Mix Tape Festival, Nickleback, and 5 Seconds of Summer. Perfect way to end a day of fun, rides, and good food. And seriously…Florida Georgia Line and Train are literally two of his favorite bands ever…early birthday present maybe?? When you’re there, don’t forget to stay at one of the three wonderful options Hershey has for lodging: The Hotel Hershey with it’s amazing spa, Hershey Lodge, and the Herskeypark Camping Resort. These are three very distinct resort options with prices and accommodations to fit everyone’s taste, style, and budget. You really can’t go wrong with any of them and they all put you right in the middle of the Hersheypark action you know and love!! It’s a lot of fun. We love visiting Hershey because there are not only so many great options, but it’s so close to home (no planes thank goodness…I’ve had enough of those) but it seems like a world away. It’s just good, old-fashioned, All-American family fun. There doesn’t seem to be nearly enough of that these days, so I’m very happy to take my family here as often as we can get out there. It’s a great trip and a great time. Hope you get a chance to enjoy it this year. 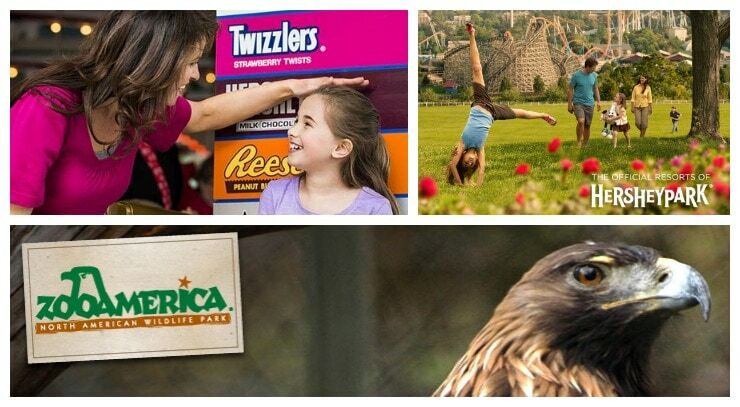 To find out more about Hersheypark, ZooAmerica, The Hotel Hershey and much more, check out links to all of them by clicking here.